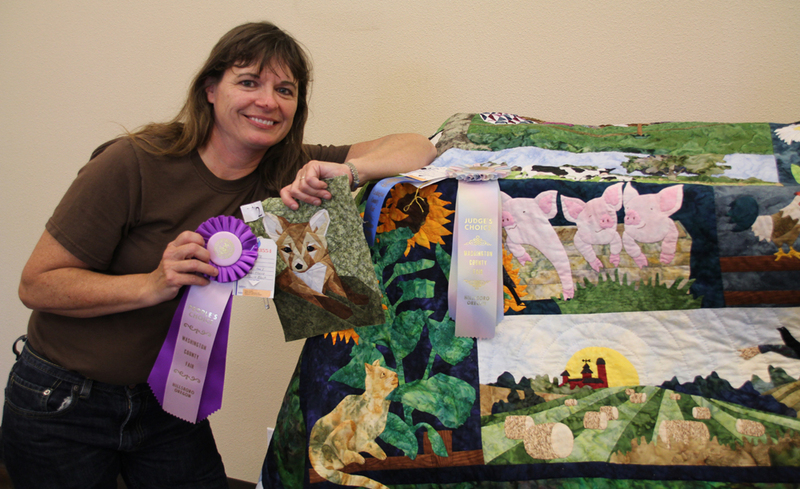 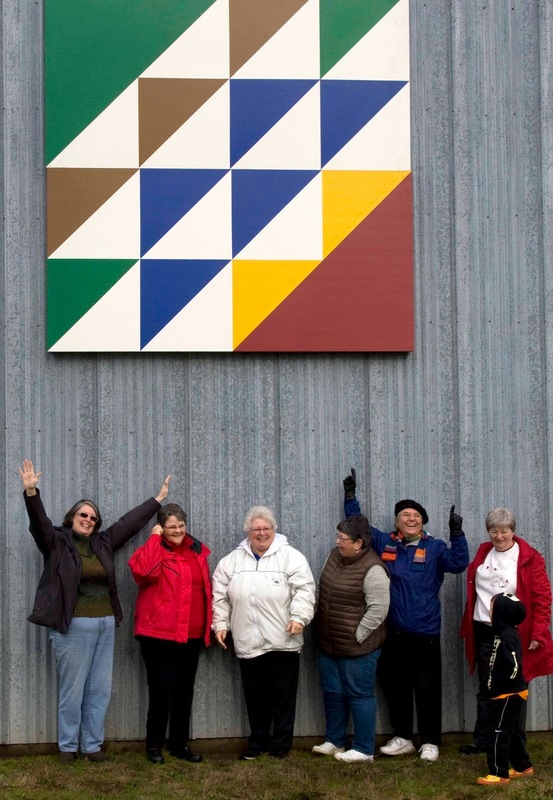 In addition to many ribbons, Patti was awarded Viewer's Choice for her paper pieced block and Judge's Choice for her latest quilt that she hand appliqued and hand quilted. 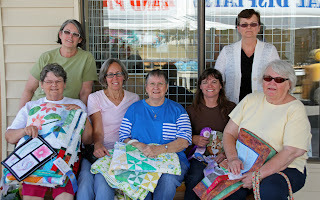 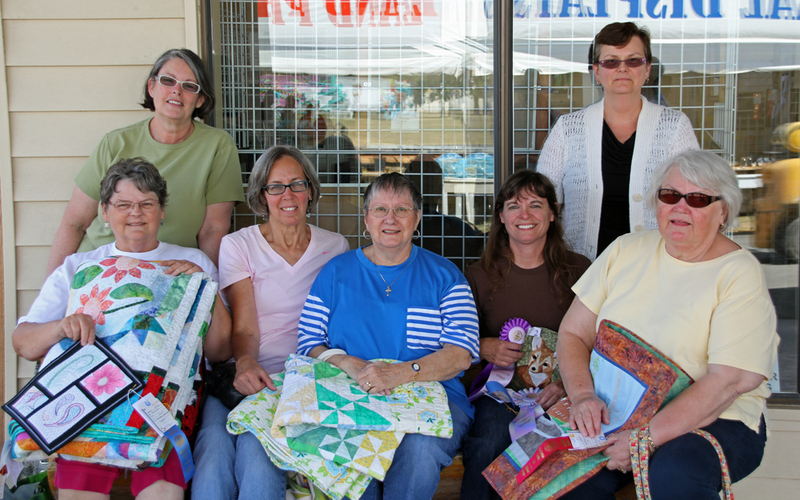 Here are several of us that showed up at the same time to retrieve our quilts (with many ribbons). Labels: In addition to many ribbons, Patti took home Viewer's Choice for her paper pieced block and Judge's Choice for her latest quilt that she hand quilted.